Engineer Certified for area wind and snow load. Certification is required if a building permit is required to meet building codes. Read more about Certified Carports. 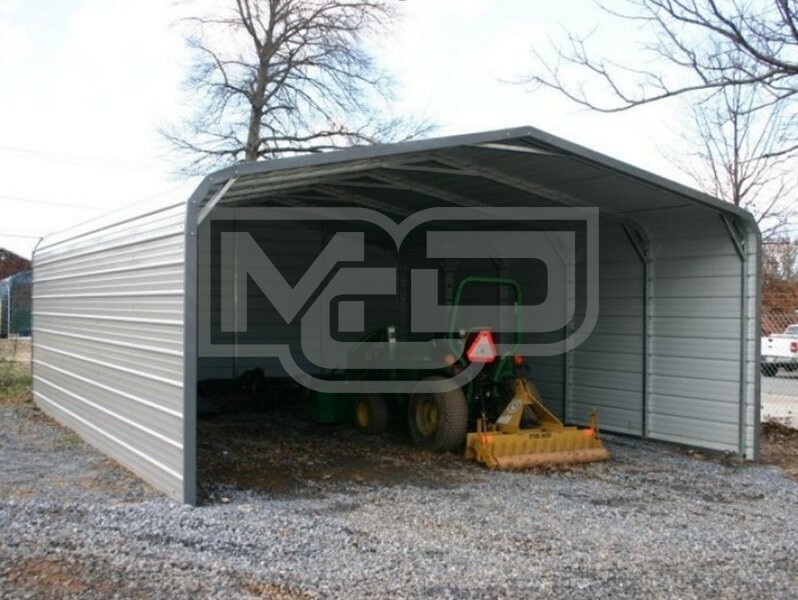 18' Wide x 21' Long x 6' High Carport with Regular Roof System (Economy). Unit has Both Sides Closed, Back End Closed, and the Front End Open and can be used for most any type of storage and shelter. Use our carport color selector tool to mix and match the colors for your carport by clicking on the color selector button.